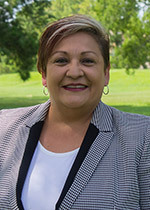 Patricia A. Cantu grew up in Falfurrias, Texas and, after graduating from high school, moved to Corpus Christi, Texas to attend Del Mar College while working in the legal field. She received an Associate degree in Applied Science / Legal Assisting in 1990. Later, Patricia graduated from the University of Texas at San Antonio in 1994 with a Bachelor of Arts degree in Criminal Justice. In 1995, after serving 10 years in the legal arena and as a paralegal for a Municipal Court Judge in San Antonio, Texas, she was accepted to Thurgood Marshall School of Law in Houston, Texas. Following law school, Patricia A. Cantu began practicing law as a sole practitioner in Houston, Harris County, Texas. Ms. Cantu's initial concentration was in the areas of family law, criminal defense and civil litigation. Ms. Cantu offers an array of legal services including her specialty areas of family law, including wills and probate, and criminal defense. 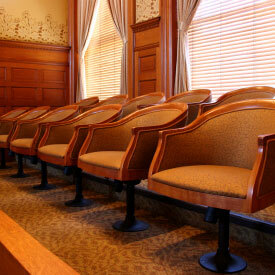 Ms. Cantu is licensed in the State of Texas both in state and federal courts. Patricia A. Cantu has been practicing law for over 15 years. Patricia is an experienced trial lawyer. She has tried many cases to verdict before jury panels and judges in Harris County, Brooks County, Jim Wells County, Jackson County, Fort Bend County, Galveston County, Grimes County, Montgomery County, Jefferson County, Wharton County, Liberty County and Waller County. *Please be sure to include a valid phone number for contact purposes. It will be treated as confidential. The Law Office of Patricia A. Cantu was established in January of 2000. It has never ceased to exist although Patricia was temporarily associated with other law firms. Most recently, Ms. Cantu moved her firm to Katy, Texas, but offers legal services in Houston and all surrounding areas.